If you have add some combustions password on your word doc and suddenly you have lost and forgotten that time you have think how to recover word doc file password so don?t lost hope just download word password recovery software which has ability to break word file password without any difficulty. Stella doc password recovery tool has feature to auto detect your password which you have add on your doc file. This software really helpful to recover alphabetical, numeric and combination password and open your lock word file it also support all version (97/2000/2002/2003/2007/2010/2016). This software gives you demo version for check this program working process with demo you can recover first 2 character of password at free of cost. 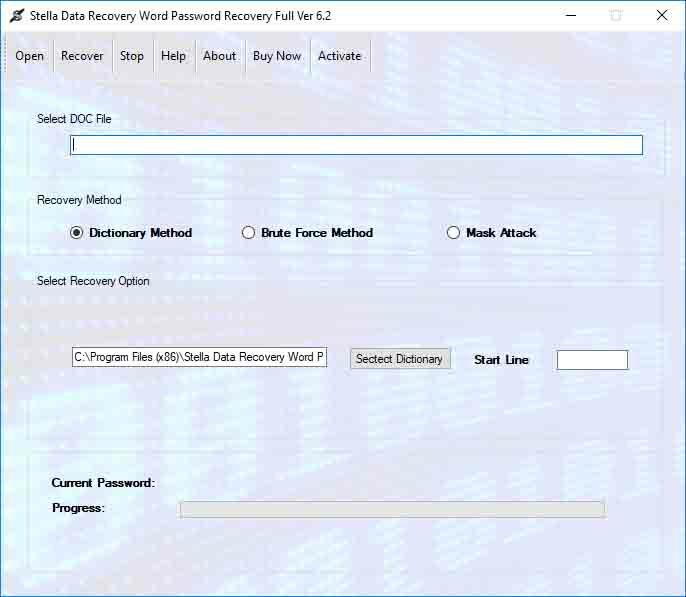 MS word password recovery software recover docx password and open MS word file with full safety of stored data in word.